Do you give entrance tests? Entrance tests and interviews take place on Brent’s campus, and are necessary to make grade placement and acceptance decisions. Every applicant is interviewed, and tests are given to students in Kindergarten and above. Formal tests are not given to children applying to Nursery and Pre-Kindergarten. General behavior and developmental readiness are most important at these young ages. There are no required academic skills to enter Nursery or Pre-Kindergarten, but during the interviews it is noted if the child has been exposed to colors, shapes, numbers 1-5, the ABC song, etc. Children might be in diapers at the time of the interview, but it is expected that diapers will no longer be needed by the time of enrollment (during the school day, 8am to 11:20am). A short pattern and sequencing assessment is given to Kindergarten applicants, which gives the Admissions Committee an idea of the child’s critical thinking and reasoning skills. • share about their school, friends, and hobbies. Specific tests for students not yet proficient in English are given to students in Grades 1-5. A short pattern and sequencing assessment is given to Grade 1 and 2 applicants, which gives the Admissions Committee an idea of the child’s critical thinking and reasoning skills. Tests in math, spelling, and reading are given, as well as a writing prompt so that the Admissions Committee can review a short writing sample. These tests are completed with paper and pencil, and the Admissions Office assists children with the directions. MAP® (Measures of Academic Progress) tests are given using the computers in the Admissions testing room. Applicants answer 20 multiple choice questions in each area of Reading Comprehension, Language Usage, and Math. Each test generally takes less than 30 minutes, and there is no time limit. MAP® is an assessment created by NWEA —Northwest Evaluation Association—a global not-for-profit educational services organization based in Oregon, USA. If the applicant’s current school administers MAP® tests, the family is welcome to submit the most recent scores so that Admissions can determine if MAP® can be waived in the test and interview process at Brent. Brent’s philosophy is that students are practicing and studying simply by being enrolled in school. As a result, study materials are not provided for our entrance tests. After testing, the student interviews with the Director for Admissions, Guidance Counselor, and Principal. At least one parent must accompany the student. It is very rare for Brent to accept a new student to Grade 12. 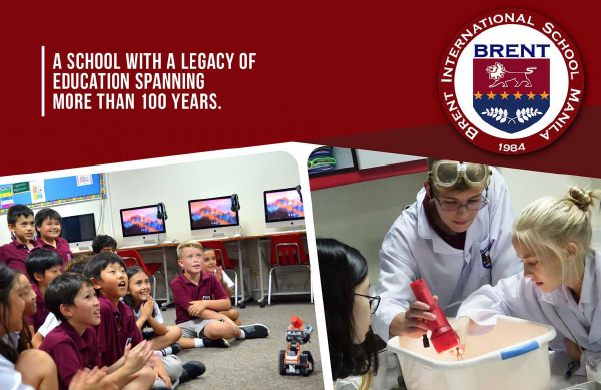 It is ideal if students attend Brent for both grades 11 and 12 for consistency in our International Baccalaureate (IB) program. Applicants to Grade 12 would follow the entrance test and interview process for Grades 3-11 explained above. Brent takes into consideration the birth date of the student and the grade level most recently completed. For the younger students, developmental readiness is also evaluated. Our goal is to place students with age-appropriate peers in the next logical step of their curricular path in order to predict a high level of academic and social success. Can I take several weeks to give all of the application documents? The short answer is yes, but keep a few things in mind. It is beneficial to complete the entire admissions process as soon as possible to take advantage of any available slots. Document submission is just the first step. One of the many things the Admissions office is proud of is our ability to complete tests and interviews in one day, and most often share the acceptance decision with the family before they leave campus. Very few international schools in South-East Asia can say they do the same. In order to achieve this, and be efficient with everyone’s time, all of the application documents need to be submitted to set appointments. Document submission does not reserve a slot, it simply allows the family to work with the Admissions Secretary to set the test and interview appointments. The full Admissions Committee (Director for Admissions, Guidance Counselor, Principal) reviews the documents when interviewing the applicant, in conjunction with the entrance test results. The acceptance decision is made on the day of appointments since that is when the Admissions Committee dedicates specific time to the applicant. If a company will be billed for tuition payment, then a slot is reserved once the Admissions Secretary has received both a Guarantee Payment Letter from the company and the needed documents from the family. A reserved slot does not assure acceptance. While we are thorough with our document collection, what we collect is in line with the majority of international schools our same size in South-East Asia. The documents collected allow Brent to make informed acceptance decisions and best support students once enrolled. What if we move to Manila when Brent is closed? How will this work as the family will be relocating to Manila on December 28th and naturally Brent will be closed throughout the Christmas/New Year period? We surely don’t wish to be in a situation not knowing that the children will be formally accepted a few days before the new term begins. This would be very worrying and stressful, as you will appreciate. Since entrance tests and interviews are done in person on Brent’s campus, and are necessary to make grade placement and acceptance decisions, families will sometimes make a special trip to Manila well before the expected enrollment date in order to receive the final decision. If the decision is positive and space is available, the family has peace of mind knowing that all is well. If the decision is not positive, it gives the family time to problem solve and look for an alternate school. Families are welcome to email or call the Admissions Office to talk through their situation so that we can advise on a case-by-case basis. Generally, if Brent has available space, and applicants have very positive report cards and discipline histories, a positive acceptance decision is predicted. How does my child start school, if accepted? Please visit the Enrollment Process section for complete information. Is space available? Can I reserve a slot? A Slot can be reserved if Brent’s Accounting Office will bill a company directly for tuition payments. All other application documents listed on the Application Checklist can be submitted at a later date. A reserved slot does not assure acceptance. The reserved slot gives the family peace of mind knowing that if the child is accepted a slot is indeed available. For families not able to reserve a slot because a company is not involved, keep in mind that submitting documents and setting appointments does not change the status of the applicant. A slot is not reserved for an applicant until the day of the interviews. A family might inquire about slot availability and be told slots are available, but by the time of document submission or the day of appointments the grade level has been filled. Slot availability can change within days, weeks, and months. Families are encouraged to set appointments for the soonest available time for their schedule and check with Admissions as often as needed regarding slot availability. This includes families new to Brent as well as families who already have other children enrolled at Brent. Brent’s school year generally begins early August, and finishes the end of May. The school has a vacation for Christmas and Easter, and observes Philippine holidays. Nursery and Pre-Kindergarten students attend Monday through Friday, 8:00am to 11:20am. Kindergarten through Grade 12 students attend Monday through Friday, 8:00am to 2:35pm. There are two exceptions to the above information. 1) For all students, Thursdays are a “late start” day, with classes beginning at 8:40am so that teachers can attend curriculum meetings. The school day ends at the regular time on Thursdays. 2) On Friday, classes end at 2:00pm instead of 2:35pm. Offices are closed on the weekends. Brent students have two uniforms. One is for regular academic classes and one is for Physical Education (PE) classes. The uniforms are the same for Nursery through grade 12 and are available to purchase at Brent. Girls wear a plaid skirt and a white shirt with Brent’s logo on the pocket for regular classes while boys wear khaki pants and a maroon polo shirt with Brent’s logo on the pocket. PE uniforms for girls and boys consist of maroon shorts and a white T-shirt with the Brent logo. “House shirts” (emerald, gold, azure) are also required for school-wide House activities. School supplies and textbooks are covered in the cost of tuition and are generally given on the first day of school. Students may use their own backpacks or bags. Do students bring their own food, or buy food at school? Nursery and Pre-Kindergarten students bring a snack from home; students in these grade levels will be home for lunch. Students in Kindergarten through 5 should bring a snack, but they can buy lunch at school in addition to bringing lunch from home. A hot lunch menu is available for Kindergarten through grade 2 students and it is posted on our Website. Grades 3 through 12 also have a hot lunch menu, but also have choices in the main cafeteria such as rice with meat toppings, a salad bar, sandwiches, soup, pizza, pasta, chicken, and more. Students can bring lunch from home, if they prefer, and reheat their food in our microwaves. Students purchase food using their pre-loaded ID cards. A minimum of 500 pesos is required to load the card. A receipt is always offered with purchases. Please talk with your children about appropriate food choices. A vegetarian substitution is available for the main meat entree. How are students welcomed to Brent? Students joining on the first day of the new school year are welcomed by their school level office (secretary, guidance), teachers, and students. It is ideal if new students first attend Open House, which is generally held a few days before the new school year starts. Open House gives new students the opportunity to tour the classes, meet teachers, students, and their guidance counselor and principal. For students joining the school year late, Brent’s ROARS Welcome Team gets involved. ROARS stands for Reaching Out to All Recent Students. The program is is slightly different from one school level to the next, but in general homeroom teachers and guidance counselors work with members of Student Council to select “buddies” for the new students. Recognizing that joining any school after the year has started can be a cause of nerves for new students, Brent works at pairing up new students with a student who is an active member of Brent’s community. Having a student to eat lunch with, and ask questions of–knowing the student volunteered to do exactly that–helps our new members feel welcome and connected. What do you like most about Brent? What changes would make Brent even better? What after-school activities are available for my child? After-school activities are an important part of the Brent experience. Students are encouraged to join a club or sport to further their development as a well-rounded individual, as well as make friends outside of class. Can my child be excused from religious activities? Brent supports students in mind, body and spirit. In addition to the rapport between faculty and students, this support is scheduled weekly through the set academic curriculum, physical education classes, and occasional religious activities. All students are required to go through Brent’s established curriculum. Brent’s religion curriculum is non-evangelistic. Students practicing Buddhism, Hinduism, Judaism, Islam and other religions participate in our Christian-based curriculum without experiencing discrimination. Lower School religion courses meet once a week and are gospel based. Weekly chapels are lively and are structured around themes such as responsibility, friendship, and honesty—values that the general population agree on as important, regardless of religious orientation. Middle School religion courses study the main religions of the world, with the understanding that well-educated people should have this knowledge, in addition to Christianity. Weekly chapels are also lively and theme based. Upper School students attend religion classes for a semester of grades 9, 10 and 11. Courses focus on the influence of the Old Testament in the foundational ideas of Western Civilization (grade 9), exploring the life and teachings of Jesus and the spread of Christianity (grade 10), and encouraging students to think critically and cogently about current moral and ethical issues, considering various religious and secular approaches (grade 11). Upper School students also attend a weekly chapel. Our foreign language program begins in grade 6. Students in Middle and Upper School have a choice between French, Spanish, Mandarin and Tagalog. Many families wanting their elementary-aged children to receive foreign language instruction have been successful in finding private tutors to come to their homes. What is IB (International Baccalaureate)? The IB Diploma is an internationally recognized two-year program (grades 11 and 12) of studies with syllabi and external examinations developed by the IBO in Geneva, Switzerland. Seniors who score high on IB exams not only fulfill Brent’s graduation requirements, but may also receive college credit in universities in America, Canada, University of the Philippines and Enderun Colleges based in Manila. Where do Brent students attend university? The majority of Brent’s students enroll in universities and colleges in North America. Students receive support in the university application and selection process from our Upper School Guidance Counselors. For details about the specific schools where recent graduates have been accepted and matriculated to, please see our Upper School Profile. We have a fleet of Brent owned and operated buses with routes providing service to communities north of Brent. In addition to a driver, a bus attendant is assigned in order to provide supervision and assistance to students. A security guard is also present on our longest routes. Can parents be involved at school? Absolutely! Brent has a very active PTA (Parent Teacher Association) that is involved at all grade levels. The primary purposes of the PTA are to promote an atmosphere of goodwill and cooperation, and to promote a continuous channel of communication between the many groups of the Brent community. Studies have shown that students perform better when parents take an active role in the school, and we enjoy the involvement and help of those parents who have time to volunteer. Parents can attend meetings where current issues are discussed and future events are planned, sign up for any of our existing committees and projects, be a Homeroom Parent or Grade Level Representative, chaperone field trips, and more. Where do Brent families generally live? The Alabang communities have a high population of Brent students due to the close proximity. Students do, however, live in Makati, Pasig, Tagaytay, Los Banos, and other areas. It is the responsibility of families to ensure that students are covered with current and comprehensive health insurance while enrolled at Brent. Should an accident occur on school property, or during a school-related event, the school’s liability will not exceed PHP 50,000.00. Why should my family choose Brent? Brent is an ideal choice for families looking for a school to support students in mind, body and spirit. The whole child is important to us. This is evident in the Brent curriculum and in our teaching professionals who differentiate curriculum where appropriate to account for the various ways students best learn and the differing prior knowledge each student brings with them. Brent provides a supportive and friendly environment for the whole family. This is especially important to those families in transition who are new to the Philippines. New families frequently report finding a “home away from home” after joining the Brent Family. Our active PTA (Parent Teacher Association) is an important part of our school, and there are many ways to be involved. A small but important factor that should not be overlooked is that our location south of Manila has the benefit of cleaner air, which is becoming increasingly more important. The best way to decide if Brent is your best choice is to make an appointment with the Admissions Office for a tour. While touring our facilities and experiencing the friendly atmosphere on campus, it is not uncommon for a parent to say, “I wish I could go to school here!” Please visit, and see for yourself what makes Brent a unique environment in the Philippines.